The requirement that came to me was based on information in one list, build up a URL and some additional text to drop into a multi-line rich text field within another list, using a SharePoint Designer workflow, so no custom code was being installed on the server. 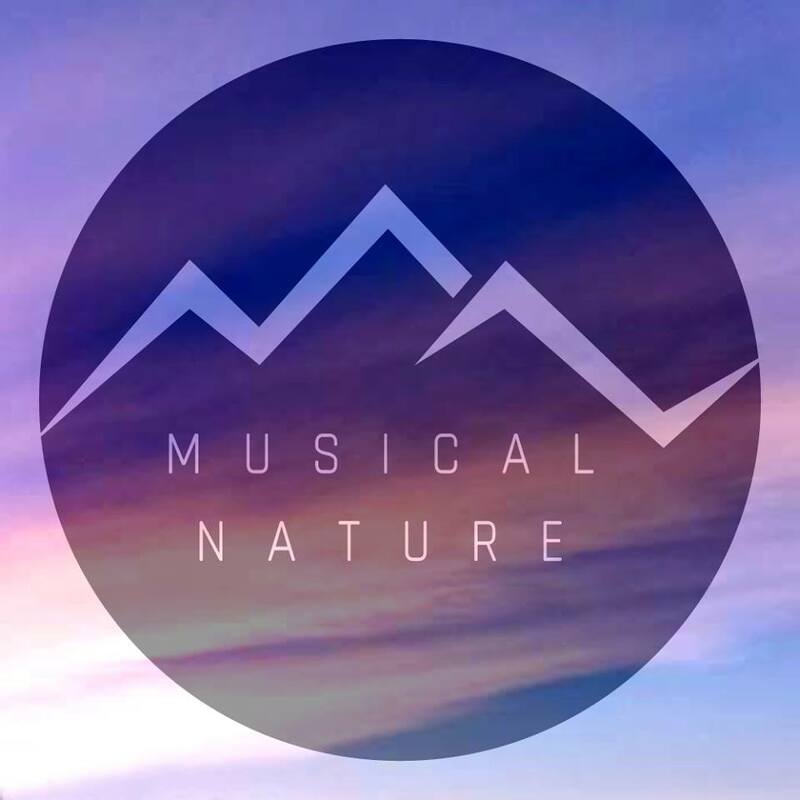 The URL we will be re-directing to is a custom page with several data view web parts on it, which bring back information about the selected item. Now, click on the Variable: variable text in the step that was just created, and select Create a new variable… from the drop-down menu that appears. 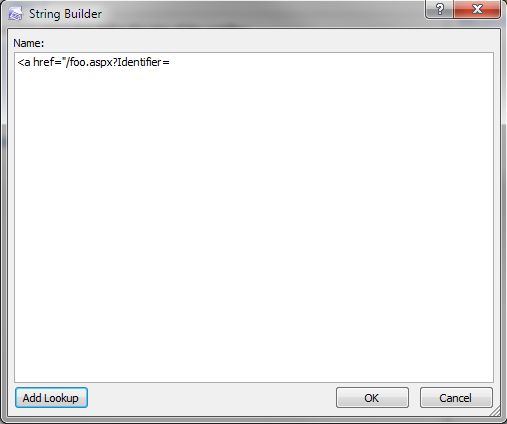 You will see a pop-up window appear, Edit Variable. 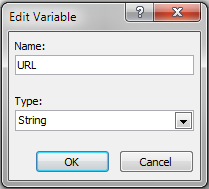 Fill in the Name and Type fields with the name of the variable, as well as the type. In the case, we’ll be using a String. 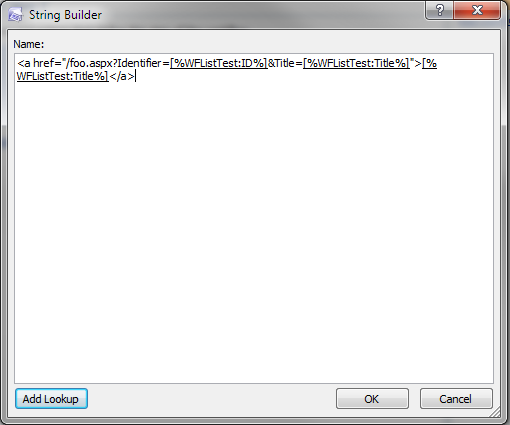 Now we click on the dynamic string link (as shown in step 3), and we can start building our HTML link! 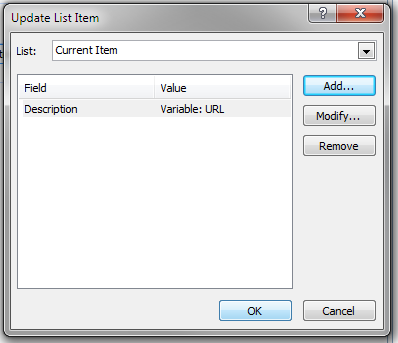 Now, where we get to the point when we want to add in a field from the current list item, choose Add Lookup. 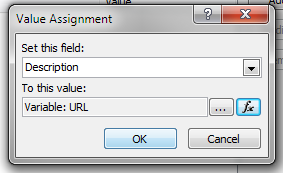 Select Current Item from the Source drop-down, and select the field, in this case, ID from the Field drop-down. And click OK.
Next, we’ll add a second step to our workflow, to Update and item, or create, whatever you fancy, in a specific list. For the purposes of demonstrating this functionality, I am just going to update the list item I am working with. 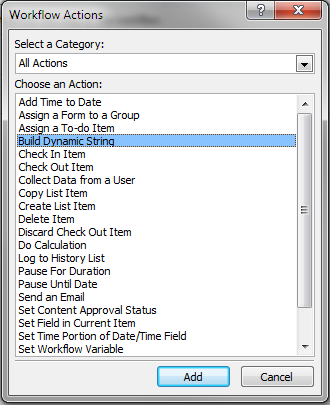 You could easily configure this to create a new list item in a different list. and when we select the To this value drop-down, select the Workflow Data menu option, and choose the Variable: URL which we created earlier in this process. 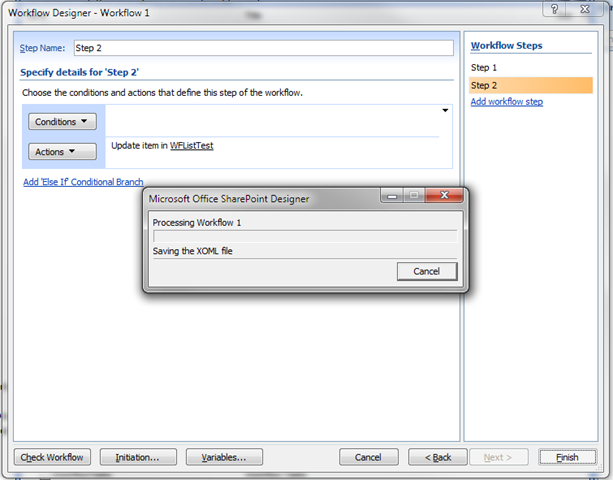 Now click OK, and click Finish, and your workflow will be created and published to the server. 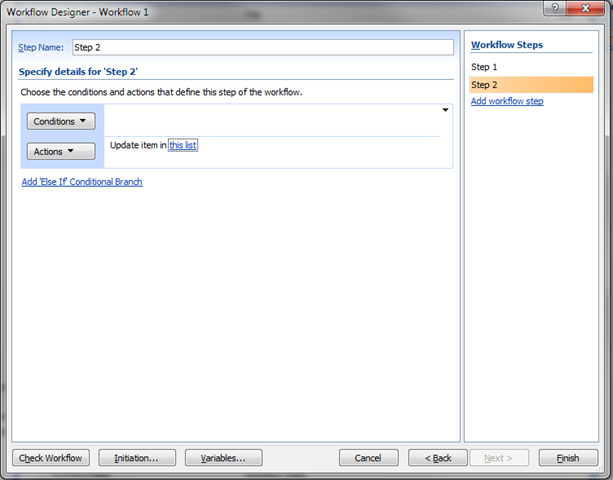 Once we do so, our workflow should complete successfully, and we should now have something in our Description field! And that is all there is to it! 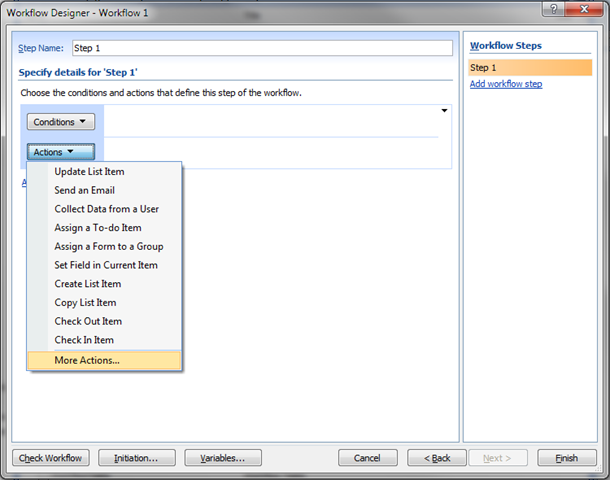 Very useful functionality in SharePoint Designer Workflows for building your own dynamic variables, storing them away, and re-using them to achieve the functionality you need.